At age 65 the great Italian poet Francesco Petrarca, Petrarch in English, retired in the Euganean Hills. Throughout his life he had made several trips in Italy and Europe, above all to find ancient manuscripts to study and also to maintain various friendly relations with lords and intellectuals. All these transfers also reflect the constant investigation of his soul, always looking for answers. He decided to stop in Padua because, ad he wrote “in Padua I’m sure to be loved“. The lord of Padua Francesco Da Carrara donated to him a piece of land in Arquà where Petrarch decided to have a house built. In his new home he occupied the time studying, writing and receiving friends and academics. 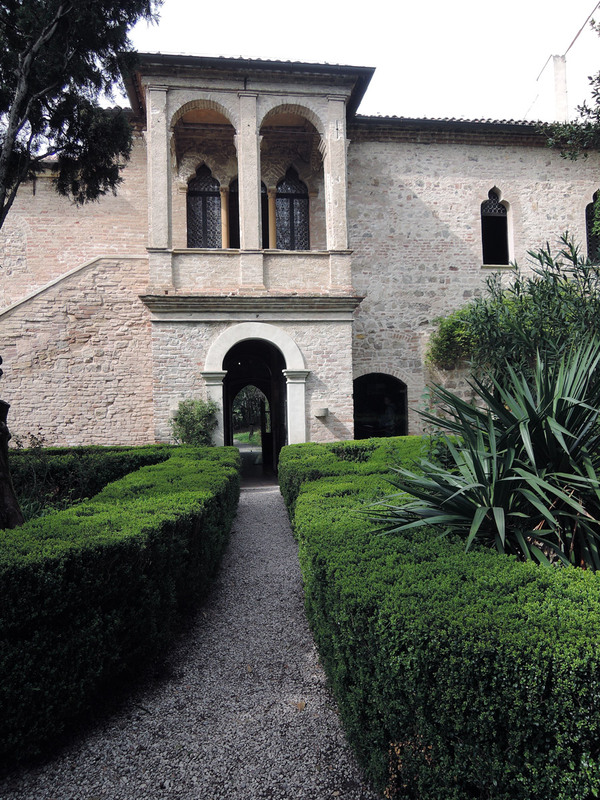 The House of Petrarch in Arquà is a lovely little palace. No wonder if he chose to stop here. I built a small house on the hills Hills, dignified and noble; I lead here in peace the last years of my life, remembering and embracing with tenacious memory absent or deceased friends. Meanwhile his health, already delicate, had deteriorated. His doctor advised him to avoid certain foods and avoid any effort, even writing. He accepted the advice on nutrition but refused to stop writing, saying that for him the pen was not a burden but a relief. He died at midnight on 18 July, the day before turning 70. After his death the house and Arquà became a place of literary and sentimental pilgrimage. 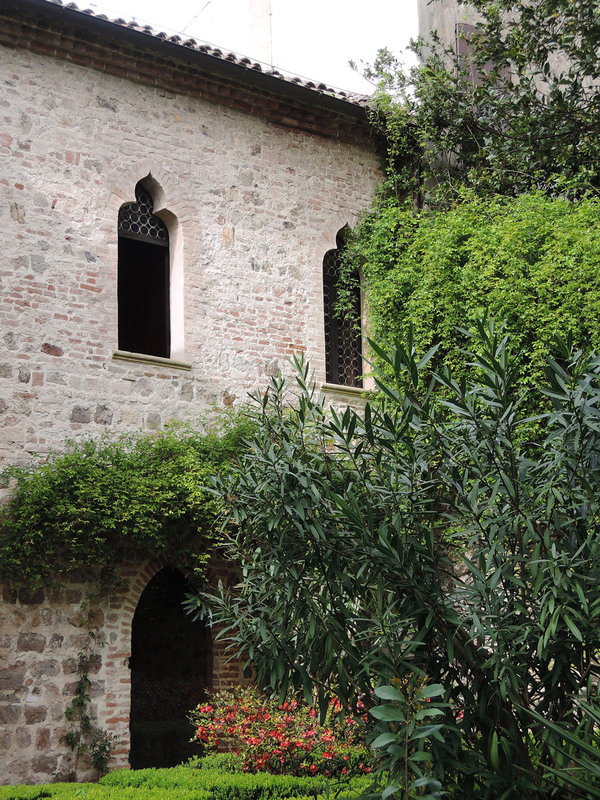 In mid 1500 the owner made some changes to the house of Petrarch: he added the external staircase leading upstairs, the small loggia and he had the walls decorated with frescoes: those of the upper band are based on poems by Petrarch, those of the lower band are inspired to the ancient decoration. It was in Avignon on April 6 1327 (he was 22) that he met a girl he fell in love with, unreciprocated, and to whom he dedicated his best-known work, the Canzoniere (Songbook). In the book she is called Laura. The name Laura was not chosen at random by Petrarch. In Italian it allows in fact different puns. Laura comes from the Latin word laurus, the laurel plant, sacred to Apollo, used to crown the poets. Written “L’aura” it means the air, a vital breeze nourishing him. L’auro is gold, symbol of everything precious. Laurea is the degree, the graduation, the culmination of the studies. So she represents all the ambition of the poet. Petrarch family squandered its fortune and he had to find an employment. He opted for the ecclesiastical career. This did not prevent him to have two biological children during his life, Giovanni and Francesca. 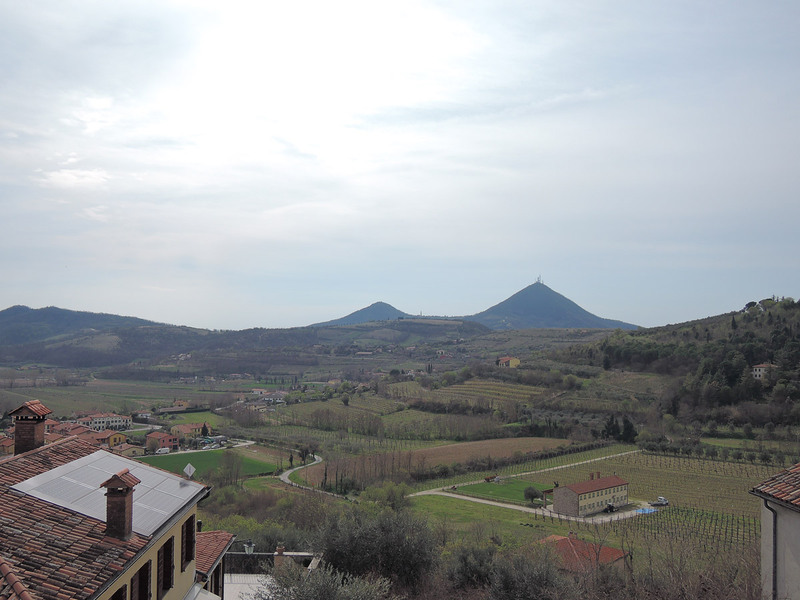 His famous ascent to Mount Ventoux took place in April 1336. He describes the climb to a friend in a letter, telling that the ascent, steep and full of obstacles, was very difficult for him but not for his brother Gherardo. The story actually reflects a spiritual crisis of Petrarch and it is therefore metaphorical. The path was difficult for him because of his attachment to secular goods rather than spiritual ones. In the end he reaches the top of the Mount and, to thank God, he decides to read a passage of the Confessions by Saint Augustine. He opens the book at random and the excerpt says: Men go abroad to wonder at the heights of mountains, at the huge waves of the sea, at the long courses of the rivers, at the vast compass of the ocean, at the circular motions of the stars, and they pass by themselves without wondering. He longed for fame and poetic success. On April 8 1341 he was finally crowned “poet magnus et historicus” (great poet and historian) in Rome. To reach the house you have to reach the higer part of Arqua following the hand shaped signals. We arrived at 3.05 pm and a nice lady was welcoming visitors just past the entrance. There is no proper ticket office, so she sold the tickets outside. 4€ each and we went on. 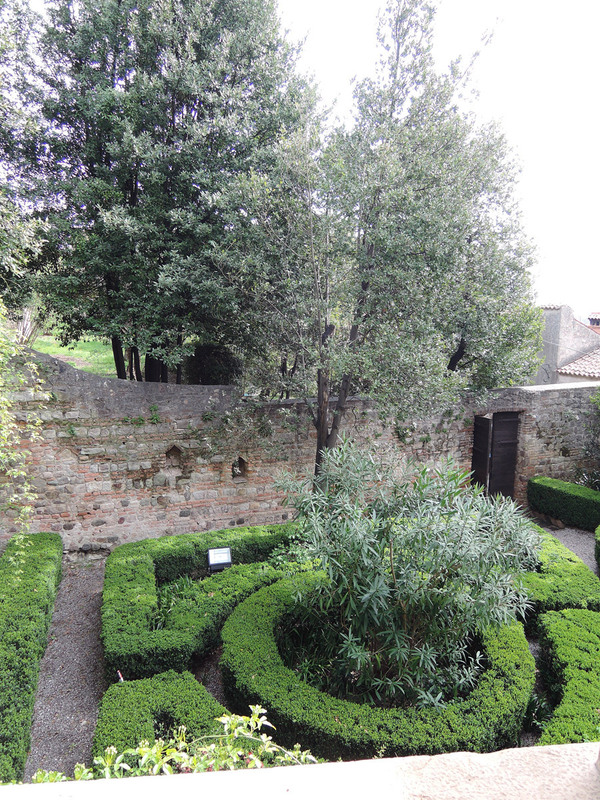 Before the house main entrance there’s a small garden with green bushes that create a sort of tiny maze. Quite nice! I warn you, though. As there’s no ticket office, there’s no toilet, no bar, no shop and above all no lifts or ramps for disabled to reach the upper floor. On the ground floor, as soon as you enter there is a vestibule where is displayed Petrarch’s life (panels in Italian and English). Sadly the back garden can only be admired through the door glass and the windows. On the right there is a room where you can see a video on the poet’s life in Arqua (only in Italian, but I explained in my post the most important things to know). On the left there are two other rooms with testimonials about the poet. I was his greatest flame, Laura the second. I defended them from the wicked mice. so that they couldn’t destroy the writings of my master. in my lifeless chest the loyalty of yore is still alive. At first you enter in the biggest room, the room of Metamorophosis, adorned by frescoes inspired by a song of the Canzoniere, the Songbook. The most impressive fresco is the one where Laura rips the the poet’s heart off. Other interesting rooms are on the right the Clepoatra room and the Visions room, on the left the poet’s Chamber and the study. In the Study you can admire the only original part of the frescoes. The little charming room (which sadly you can only see through a glass) houses also Petrarch’s original chair and his wardrobe/library. Petrarch’s chamber is very nice, with an astonishing view out of the window and a big fireplace adorned with the fresco of Venus. to enfold this noble treasure. Here is enough the name of that divine genius. There I consecrated a whole day to tears and rhymes, as a mere outburst of my overloaded heart. Since the end of XVIII century are available for the visitors some registers to leave messages and testimonies. So far 30 volumes have been filled. Among the personalities that have left their written homage are Lord Byron, Giosué Carducci, Ugo Foscolo, Pietro Mascagni, Guglielmo Marconi. These registers are in the Public Library of Padua.